AUCKLAND, New Zealand - The race for the ISPS Handa Premiership minor title got tighter after Auckland City FC drew 1-1 with Southern United today. A fine goal by Micah Lea'alafa unlocked a stubborn and disciplined Southern United defence just after halftime but the visitors persistence led to a share of the spoils when Ben Wade equalised midway through the second half. With Team Wellington losing 2-1 to Eastern Suburbs AFC the top half of the table is logjammed with both those teams tied on 20 points each and the Navy Blues now third two points adrift but with a game in hand on the defending champions. The winner of the ISPS Handa Premiership minor title qualifies for the 2019 OFC Champions League automatically while New Zealand's second berth is awarded to the team that wins the Grand Final. If the same team wins both the minor title and Grand Final, the second berth goes to the team that finishes second in the minor title race. The winner of the OFC Champions League 2018 does not qualify for the next edition of the tournament but must qualify via their domestic competition. Coach Ramon Tribulietx was philosophical about the result but said it was important Auckland City FC emerge from their three match winless streak very soon. "The score is disappointing but we played well considering we've only been back for two weeks. It was a difficult day very hot and in the second half the game got very disjointed. Thats just football. Sometimes you get away with a result and today we didn't. "The football was pretty good at times and Southern United made our life very hard by dropping off very deep and on this size of pitch when the opposition do that it becomes a game of patience. Micah Lea'alafa's goal just after halftime pleased Tribulietx who said his team had worked hard on creating an opportunity against a very defensive opponent. "Micah's goal came through something that we worked on during the week based on how to penetrate the defence of a team that drops very deep and doesn't give you that much space.Our movements were very good and the finish was very good. "Our challenge right now is more the psychological side of things. Our football was better and we dominated the game but we are just recovering from a scoreline and a mental dip and must keep going forward positively." Today's result means Southern United have been undefeated in an ISPS Handa Premiership season against Auckland City FC for the first time in their history. The two teams drew their first encounter 2-2 earlier this season. It also equalled their own best run of results against Auckland City FC since 2005-06 and 2006-07 when they defeated Auckland City FC 1-0 at Kiwitea Street then held them to a 2-2 draw in their first clash the following season. Auckland City FC's next match is with Canterbury United in Christchurch on January 21 and kicks off at 2pm. 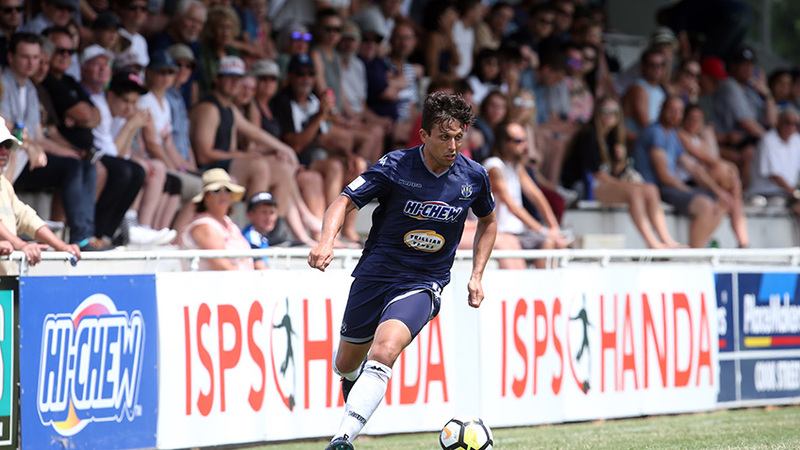 The Dragons take on Waitakere United on Sunday 14 January in a match that could be pivotal to both teams - and the Navy Blues - domestic season.